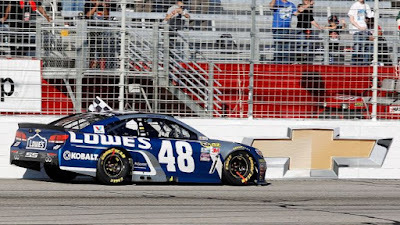 Obviously all wins are special; however with his victory on Sunday at Atlanta Motor Speedway, six-time Sprint Cup champion Jimmie Johnson tied the late Dale Earnhardt Sr. on the NASCAR Sprint Cup Series' all-time wins list – at position seven. 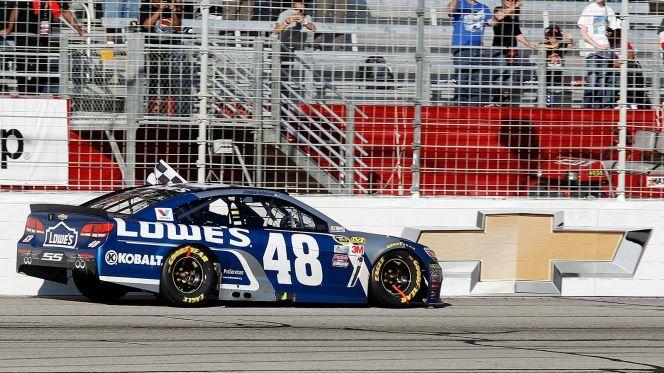 Nevertheless, special or not, Crew Chief Chad Anthony Knaus was not taking any chances as he informed his driver not to do the traditional victory burnout. "Man, did you see what happened to the 18 on Friday?" Knaus emphasized “I'm not taking any chances right now. I don't want anything bent or broken or anything to warrant any type of problem right there. ... We don't know what these cars do during a race, especially at a racetrack like this where there's a bunch of bouncing and moving and so on and so forth. There's a lot of wear and tear on these race cars throughout the course of an event, and I just didn't want to take a chance on him tearing something up doing a burnout and not passing post-race." NASCAR Race Mom’s hometown hero, El Cajon’s Jimmie Johnson needs just seven more wins to tie Cale Yarborough for the six position on that ‘NASCAR Sprint Cup Series' all-time wins list.’ Further, one more win after that will place Johnson in a three-way tie for fourth! Both goals are well within the forty-year-old’s reach. So how does Dale Sr.’s son feel about his teammate’s recent accomplishment? “It was awesome. 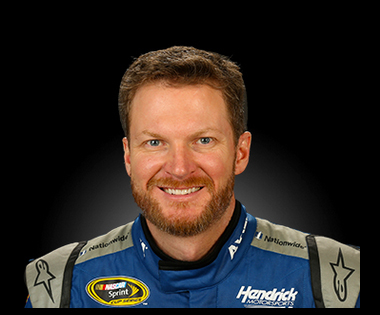 … I told him on a couple occasions that when he tied daddy, he'd better say something cool, and he'd better tell them that it's awesome for him to tie him. . . . ” Dale Earnhardt Jr. stated after the race. Although Jimmie’s victory burnout was limited, much to the crowd’s delight, he displayed his respect for legend Dale Sr. with his three finger salute in reference to Sr.’s race number. Can Johnson reach his next milestone of wins this year? NASCAR Race Mom believe it is possible. He won eight races in 2004; ten races in 2007; and seven races in both 2008 and 2009. However, it is more likely this excitement will have to wait until next year. 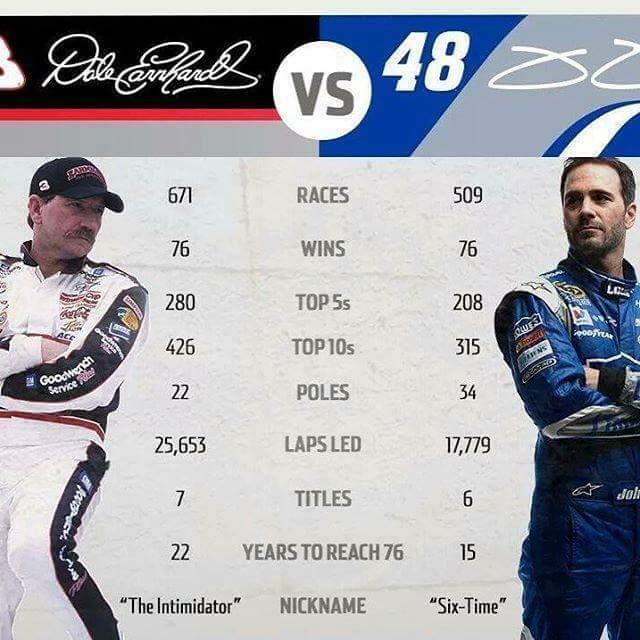 However, if Johnson should win the Championship this year, he will tie the Intimidator again; this time for seven Sprint Cup Titles.